White dress shirt with thin stripes in blue. A fresh and updated take on the classic striped shirt. 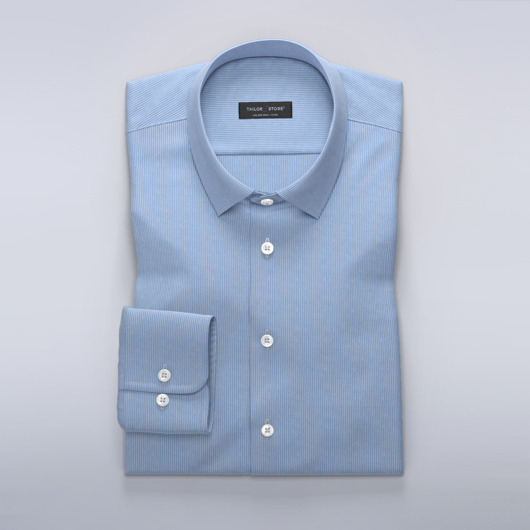 Pair with a smart suit for the office and make a lasting impression. Very easy to iron. Made to your measurements.